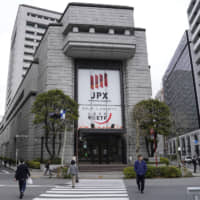 The Nikkei 225 average rebounded Tuesday from five-week lows to close sharply higher as cyclical stocks rose on short-covering, following a sell-off the previous day driven by fears of a sharp global economic slowdown. 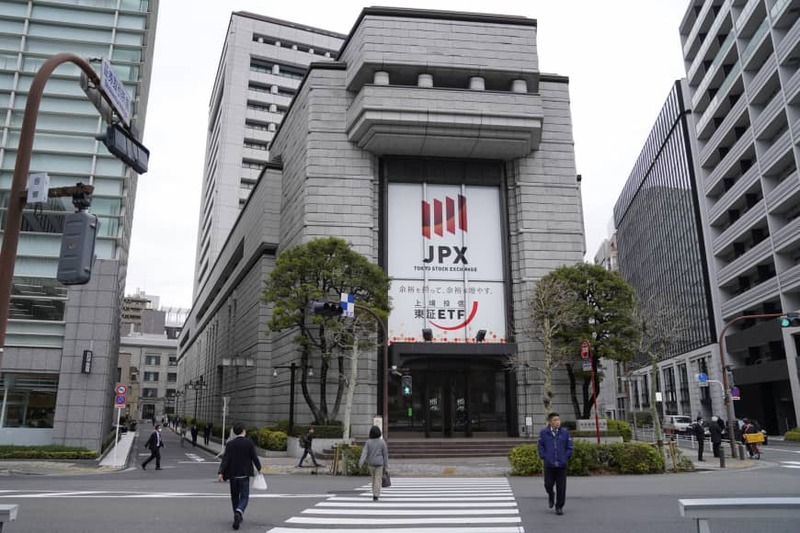 With the end of the business year looming this Sunday for the majority of listed Japanese companies, the market was also underpinned by investor purchases of stocks before they went ex-dividend later in the day. The Nikkei ended 2.15 percent higher at 21,428.39 after recording its biggest drop since late December on Monday. Analysts said risk aversion eased somewhat after a slide in Wall Street paused overnight, but concerns about a U.S. recession lingered. On Monday, benchmark 10-year Treasury yields fell to their lowest levels since December 2017, while the yield curve between three-month bills and 10-year notes inverted further as investors continued to assess last week’s dovish pivot by the U.S. Federal Reserve. Exporters rebounded, with Panasonic Corp. rising 4.1 percent, Yaskawa Electric rising 2.4 percent and Advantest Corp. jumping 1.9 percent. Analysts said index futures were in demand by index and mutual funds before stocks went ex-dividend. Renesas Electronics advanced 2.9 percent after the company said it would buy back up to ¥10 billion of its own shares. The broader Topix benchmark gauge rallied 2.57 percent to 1,617.94, with all of its 33 subsectors trading in positive territory. Every industry category in the main section gained ground, led by land transportation, pharmaceutical and construction issues. Shares staged a solid rebound after the Nikkei fell Monday by 650 points to 20,977.11, its lowest close since Feb. 15 and the steepest daily fall since Dec. 25, on rekindled concern over a global economic slowdown. “After a round of selling, investors broadly bought on dips,” said Maki Sawada, vice president of the investment research and investor services department at Nomura Securities Co.
Stocks advanced further in the afternoon, with the market also supported by buying to secure dividends for the second half of fiscal 2018. Tuesday was the last trading day to gain rights to dividends from companies with a business year ending this month. The market was also boosted by purchases of stock futures, with traders projecting reinvestment by some institutional investors who have secured the rights and anticipate dividend proceeds, said Yutaka Miura, senior technical analyst at Mizuho Securities Co.
On the first section, advancing issues outnumbered decliners 2,001 to 116, with 23 ending the day unchanged. Land transportation, retail and food issues were bought as many investors sought to receive dividends or free tickets. Railway operator Keio climbed ¥300, or 4.3 percent, to ¥7,230, retailer Aeon rose ¥85.50, or 3.8 percent, to ¥2,333.50 and Takeda Pharmaceutical gained ¥111, or 2.4 percent, rising to ¥4,710. Some domestic demand-driven issues were also higher as investors refrained from buying export-related issues amid concern about the global economic outlook, brokers said. Daiwa House Industry advanced ¥148, or 4.3 percent, to ¥3,592 and construction firm Kajima was up ¥67, or 4.2 percent, at ¥1,668. Nintendo surged ¥1,450, or 4.8 percent, to ¥31,900 following a Wall Street Journal report that the company plans to launch two new versions of its Switch gaming console as early as the summer. Trading volume on the main section rose to 1.741 billion shares from Monday’s 1.328 billion.